Sleep on the lap of cosiness with our high quality 15 tog poly cotton cased synthetic duvet. Poly cotton casing will give your skin a smooth touch and are highly durable. Our deluxe synthetic duvets with 15 tog rating will keep you absolutely warm during icy nights. Its polyester hollow fibre filling is hypoallergenic and are ideal for giving you will extra warmth and peaceful sleep. Bedding mill offers 15 tog poly cotton cased synthetic duvet in various sizes like single, double and king. Choose them according to your requirements. 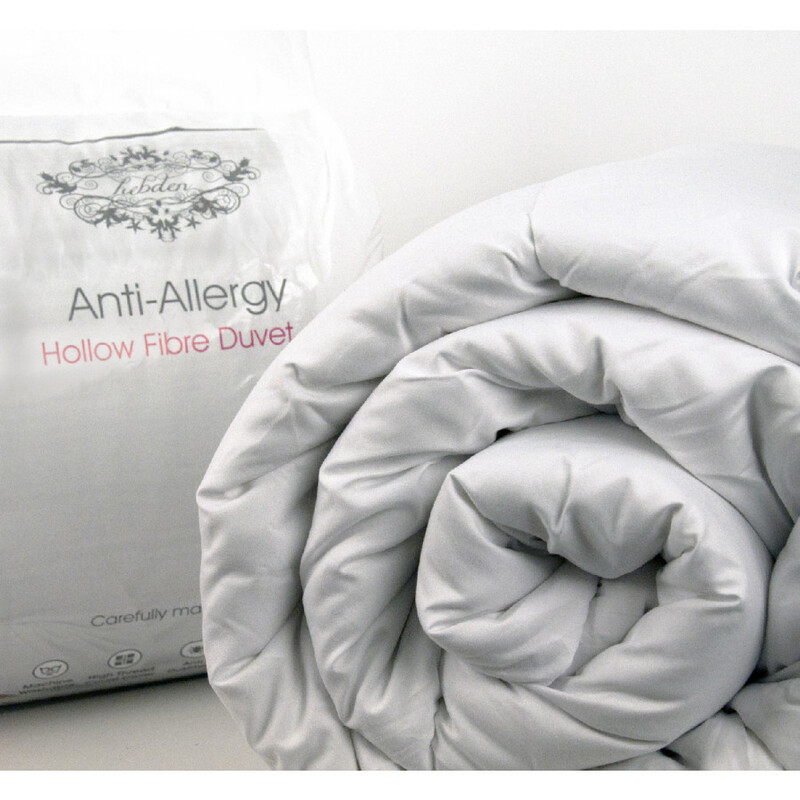 Enjoy allergy free heavenly delight with our fabulous range of synthetic duvets. Stuffed with lavish polyester, microfiber and hollow fibre fillings, synthetic duvets bestow you with superb warmth and cosiness that you have always dreamed of. With Light-weighted and snugly fabrics like poly cotton, polypropylene and polyester- microfibre synthetic duvet are breathable and fluffy and are ideal for your family. Pick synthetic duvet with tog rating 4.5 and 10.5 for summers and 13.5 and 15 for frosty nights. Bedding mill offers you quality synthetic duvets in several sizes like single, double, king and super king that is highly durable and machine washable too.